Comedy Night is returning to the Lansdowne Theater! 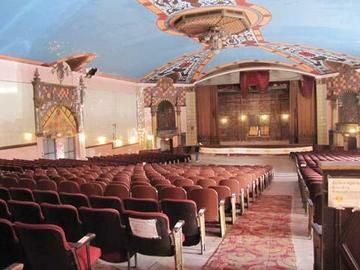 Join us to see Philly's funniest standup comedians perform in the beautiful Lansdowne Theater! Check out the deetz below! ALL PROCEEDS ARE DONATED TO THE HISTORIC LANSDOWNE THEATER CORP.
Beer and snacks are included in the ticket price. Some delicious Lansdowne-specific cocktails will be available for purchase. As is tradition, we'll be raffling away some awesome prizes and will be selling 50/50 tickets. The theater is close to the Lansdowne stop on the Media/Elwyn line, but if you must drive then there is a huuuge municipal parking lot across the street. It's $0.25/hour so bring some quarters! How the hell can I get in? You must purchase a ticket before the show - there will be no will call this year. You will only be allowed to enter if you have a printed or electronic ticket at the door. We are expecting to sell out very quickly so purchase your tickets as soon as possible. Any info for the Millenials?